adidas + KANYE WEST confirm the YEEZY BOOST 350 V2 line up for the remainder of 2017. November 18th will see the release of the YEEZY BOOST 350 V2 Semi Frozen Yellow / Grey Steel / Red. The YEEZY BOOST 350 V2 Grey / Bold Orange / Solid Grey will be available on November 25th. 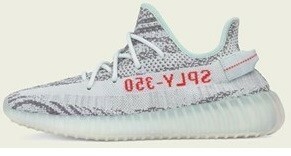 The YEEZY BOOST 350 V2 Blue Tint / Grey Three / High Resolution Red will release on December 16th. Each YEEZY BOOST 350 V2 release features a Primeknit upper with ‘SPLY-350’ mark, distinct center stitching, and a heel tab. The midsole utilizes adidas’ innovative BOOST™ technology. All three releases will be available globally on adidas.com/YEEZY, at select adidas retail and partner locations, and on YEEZY.SUPPLY​​, with a retail price of $220. A full list of adidas retail and partner locations can be found at adidas.com/YEEZY. Reservations for the YEEZY BOOST 350 V2 will be offered at select adidas retail locations prior to release day through the adidas Confirmed App.